Wealthy women have broken another set of records on the new FORBES list of the World’s Billionaires that just got released. It’s really a nice gain that the women are killing it big time when it comes to finances. Despite the fact that as of yet women still take a tiny percentage of the list – just 11% of the total, but they are now pushing up on the list. One good thing about these women among the billionaires is that they have so much money you wouldn’t even be able to spend it all! They are uber wealthiest women with enough money to make you wish you were in their place. Sure, many of the women among the billionaire ranks inherited their wealth from either their husbands or their fathers. Just a handful of the women are self-made billionaires. So you might say that one life ended and another started the very day these women buried their fathers or husbands. Now Glance below to see the 20 women breaking records for all the women in the globe. Sandra Ortega Mera is a Spanish billionaire and the daughter of the fourth-richest person in the world, Amancio Ortega, founder of clothing giant Inditex. She inherited her fortune from her mother Rosalia Mera, who died suddenly in August 2013. Sandra got 89% of Rosp Corunna, the holding company Mera used to invest her wealth. Now the second-richest person in Spain after her father, Sandra holds a stake in Inditex but is not involved in running the company. Eva Rivera is a Mexican businesswoman and the widow of Eugenio Garza Laguera, the former chair of FEMSA, Latin America’s largest independent Coca-Cola bottler and distributor. She was married to her husband till his death in 2008. After the death of her husband in 2008, she and her daughters, took over her husband’s large stake in the FEMSA beverage corporation, making her a major shareholder in the company. The company which has operations in 9 Latin American countries acquired Farmacias Farmacon, a leading pharmacy giant in northern Mexico in December 2014, and is now making inroads into drugstore retail market. With a net worth estimated to be about $6.7 billion, Eva Gonda is the 19th richest woman in the world. Maria Shaeffler, a German business magnate and co-owner of Schaeffler Group, one of the world’s largest producers of roller bearings is among the richest women billionaire in the world. After the death of her husband (Georg) in 1196, she and her son Georg F. W. Schaeffler inherited the reins of the business. Under her, the company has acquired multiple lucrative companies including INA, LUK, and FAG. All of the three companies mentioned are huge brand name corporations in making roller bearings, making her one of the biggest manufacturers of roller bearings and linear products on the planet. Margarita is a Russian-born Switzerland billionaire businesswoman. She is the Chairman of Louis Dreyfus, French commodities behemoth. She took over as the head of the Louis Dreyfus Group in 2009, after the death of her husband Robert from leukemia. She recently disposed the company’s energy trading business in 2012, shook up management and announced her intention to hike her stake. The company is said to have been searching for a CEO since April 2014, announcing in late December that negotiations with top-candidate and former Viterra head Mayo Schmidt fell through. Blair Parry-Okeden is an American billionaire and heiress to a privately held media company Cox Enterprises. Her grandfather James M. Cox founded the company. Parry-Okeden inherited a 25% stake in the company in 2007 when her mother, Barbara Cox Anthony died. Her brother James C. Kennedy is the chairman, and her aunt, Anne Cox Chambers, is the biggest shareholder and sits on the board. She has no role at the company. The company includes Cox Communications (cable, broadband), Cox Media Group (newspapers, TV, radio stations) and Cox Automotive (AutoTrader.com, Manheim car auctions, online car sales, Kelley Blue Book). According to 2015 Forbes list, she has a net worth of $8.5 billion placing among the richest people and women in the world. Carrie Perrodo is a Singapore-born French businesswoman and ex model. She has already climbed the ladder of prominence in modelling when she met her special someone, a French entrepreneur Hubert Perrodo in the early 1970s. Following their marriage, her husband founded and solely owned oil group Perenco until his death in 2006. She inherited the company after the death of her husband. The company has translated into one of the world’s biggest family owned oil companies with estimated annual revenues of more than $5 billion and far-flung operations in the likes of Gabon, Peru and Vietnam. Massimiliana is an Italian businesswoman. She is the widow of late, Alberto Aleotti, who died in 2014. Along with her three children, she is set to inherit the Menarini, a pharmaceutical company, from her husband. A process which her family lawyer said can take up to a year for the inheritance to be completed. Her late husband translated Menarini into one of Italy’s leading drug companies, with 14 production sites around the globe and more than 16,000 employees. Massimiliana Landini Aleotti has an estimated net worth of $10.5 billion as of 2015, according to Forbes. Charlene de Carvalho-Heineken one of Netherlands’ richest people. She owns 25% stake in Dutch brewer Heineken international, third-largest brewer which she inherited from her late father, Freddy Heineken, a decade ago. She is an executive director at Heineken Holdings NV company. The company sells more than 170 premium brands in more than 65 countries. She assumed her father’s role of guiding the company after his death in 2002. Gina Rinehart is an Australian mining heiress and controller of Hancock Prospecting group, a privately owned mining company. She is the daughter of Lang Hancock and Hope Margaret Nicholas. You might say that one life ended and another began the day that Gina Rinehart buried her father as she inherited her holdings from her late father. She has transformed the modest company into one of the world’s largest iron and coal company. The Australian visionary businesswoman in 2010, bought a stake in Australian media organizations, making her the largest shareholder in Fairfax Media and taking a significant share in Ten Network Holdings. In March 2014, she concluded her biggest deal yet: $7.2 billion in funding from a group of global banks and credit agencies to develop Roy Hill, one of the world’s biggest iron-ore mines; Rinehart’s Hancock owns 70%. Abigail Johnson is an American businesswoman, President and Chief Executive Officer of US investment firm Fidelity Investments (FMR) and chairman of its international sister company Fidelity Worldwide Investment. The firm is America’s second-largest mutual fund company (behind Vanguard) with nearly $2 trillion in assets under management. Her dad, Edward Johnson II established the company in 1946. She only took the place of her father Edward “Ned” Johnson III, as CEO of Fidelity in October 2014, making her the third-generation Johnson to lead the asset manager. But she has been involved at the family firm as far back as 1988. She was named president in August 2012. Irish Fontbona, a Chilean billionaire businesswoman and the widow of Andrónico Luksic Abaroa is another uber wealthy woman on the list this year. 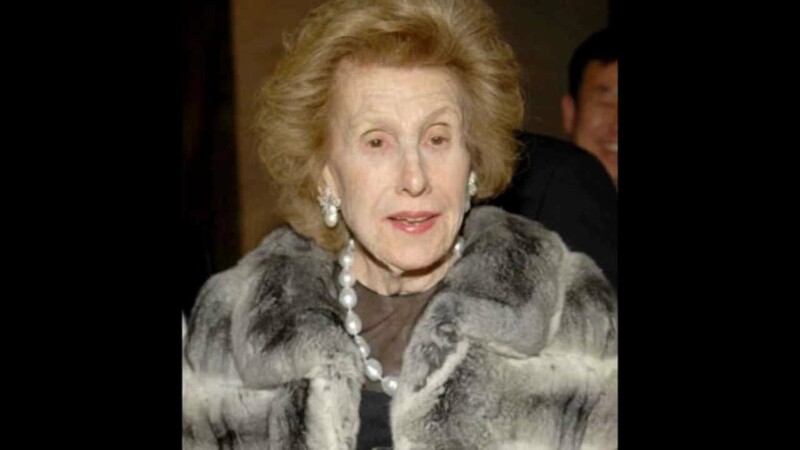 She inherited Antofagasta PLC which trades on the London Stock Exchange and owns copper mines in Chile after her husband Andronico Luksic who founded the company died of cancer in 2005. She and her three sons: Jean-Paul, Andronico and Guillermo (who died in 2013 of lung cancer at age 57) became the controllers of Andronico Luksic business. The company has fortune in mining, beverages and more. The family also holds a majority stake in Quinenco, a publicly traded Chilean conglomerate active in banking, beer, manufacturing, energy, transportation and port services. She currently runs Antofagasta, one of the biggest copper mining companies in the world as well as the founder of Luksic Group in Chile. Johanna Quandt is the German widow of industrialist Herbert Quandt, a powerful industrialist in Germany who rose BMW from bankruptcy. The 88-year-old woman inherited her husband’s vast fortune. Though she retired from BMW’s supervisory board in 1997, still owns almost 17% of the company. Her billionaire children, Susanne Klatten and Stefan Quandt, also hold significant stakes in BMW and still sit on the supervisory board. Susanne Klatten is a German BMW heiress and the daughter of Herbert and Johanna Quandt. Herbert Quandt rescued BMW from bankruptcy. The 52-year-old, owns a 12.6% stake she inherited in automaker BMW from her late father, Herbert Quandt. Susanne, her brother Stefan Quandt and her mother Johanna Quandt together own about 50% of BMW. She is helping change Altana AG, located in the German town of Wesel on the Lower Rhine, into a world-class pharmaceutical/specialty chemical corporation. Thus, she controls chemical manufacturer Altana, and holds stakes in wind power outfit, Nordex AG as well as carbon and graphite producer SGL and Geohumus. The latter concentrates on inventing a water storing granulate to be used in agriculture. She also acquired stakes from Dutch biotech company Paques in 2012 and used oil recycling company Avista Oil of Germany. Anne Cox Chambers is the surviving daughter of James M. Cox, the founder of Cox Enterprises, a media company that operates radio, television, cable television, newspapers and other businesses including Cox Automotive (AutoTrader.com, Manheim car auctions, online car sales, Kelley Blue Book. This American media proprietor is a majority owner of the privately owned media giant estimated at $17 billion in annual revenues. In 2014, the company announced that it had bought back 25% of AutoTrader. Laurene Powell Jobs, an American business executive and widow of Steve Jobs, co-founder and former CEO of Apple Inc. scores high on the 2015 list of richest women in the world published by Forbes this year. She is the founder of Emerson Collective, which advocates for policies relating to education and immigration reform, social justice, and environmental conservation. She also co-founded and is the President of the Board of College Track, a nonprofit college completion program. She also controls the Steven P. Jobs Trust, now known as the Laurene Powell Jobs Trust, which owns around 130 to 140 million shares of stock or between 7 and 8 percent stake as the largest shareholder in The Walt Disney Company. Maria Franca Fissolo, is an italian business woman and the widow of Michele Ferrero, who developed Ferrero Group into one of the world’s leading candy companies, with its iconic Nutella chocolate hazelnut spread, Kinder chocolates and Tic-Tac mints. She is a newcomer to the ranks of the richest women. She and her son Giovanni Ferrero, the Chief Executive of Ferrero Group, the sweets company, are taking over one of the world’s largest candycompany. According to FORBES she and her son are estimated to worth $23.4 billion. Her husband, candy-and-Nutella tycoon Michele Ferrero, who died in February developed the sweets company from the small bakery and café of his father in Alba, Piedmont .His first big success was including vegetable oil to the traditional gianduja paste to make the popular spread, Nutella. Among the company’s famous brands include Mon Chéri, Ferrero Rocher, Kinder Chocolate, Kinder Eggs, and Nutella. Jacqueline Mars is the sister of the two brothers, Forrest Jr. and John, who are the owners of the secretive ($33 billion) candy maker Mars. As a member of the Mars family, she is among the heirs of the company. All three siblings sit on the company’s board of directors, except for the everyday running of the business. She is also a trustee of the US Equestrian Team, and serves on the board of directors for the Washington National Opera, the National Sporting Library and Fine Arts Museum. Alice Walton is an American heiress to the fortune of Wal-Mart Stores, Inc. Her father Sam Walton founded Wal-Mart. She graduated from Trinity University in San Antonio, Texas, with a B.A. in economics and finance. With her hefty fortune, she has long concentrated on interpreting art, culminating in the opening of the Crystal Bridges Art Museum in her hometown of Bentonville, Ark. in 2011. She has also included other art works from several other popular artists. She is sister-in-law to Christy Walton, who is among the richest billionaires on earth. 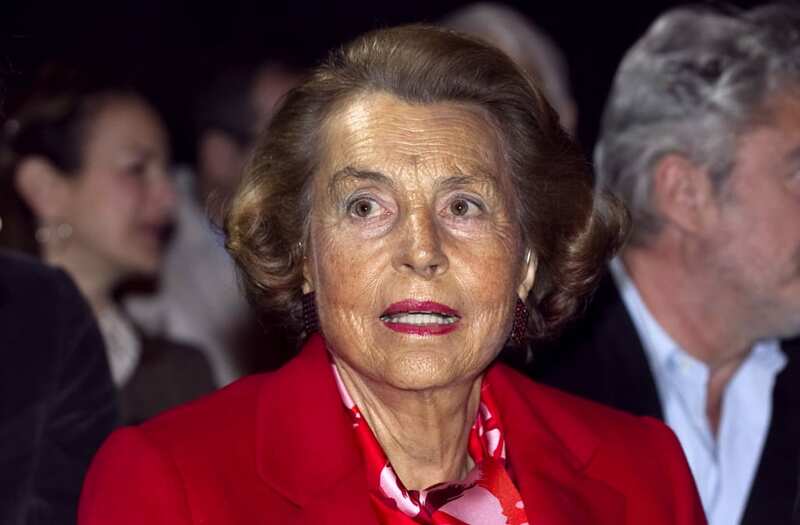 Liliane Bettencourt is a French heiress, socialite, business tycoon and philanthropist. She is one of the principal shareholders of L’Oréal and the second richest woman, the same rank she held a year ago. The company was founded by her father Eugene Schueller, in 1907. She became even wealthier in 2014 due to a deal in which she bought extra 8% stake in the cosmetics empire from Nestle, raising her and her family’s chunk of L’Oreal stock to 33%. Bettencourt has not been involved in running the company for several years; a legal battle with her daughter Françoise Bettencourt Meyers proved Liliane unfit to manage affairs in 2011. She was replaced on the company’s board by her 25-year-old grandson Jean-Victor Meyers in 2012. The elderly widow, who suffers from dementia remains the wealthiest woman in Europe. Christy Walton, an American Philanthropist, is the richest woman in the world according to Forbes 2015 list of the richest people in the world. She has held this title for 5 out of the past six years. She is the widow of John T. Walton, one of the sons of Sam Walton, the founder of Walmart. She married into what became the richest family in the globe and inherited a fortune after the death of her husband John Walton, a former Green Beret and Vietnam war medic, who died in an airplane crash in 2005. She’s the richest of the Waltons due to an investment John made in solar panel maker First Solar. Perhaps candy manufacturing company pay more than we thought and it is just the right business to go into.